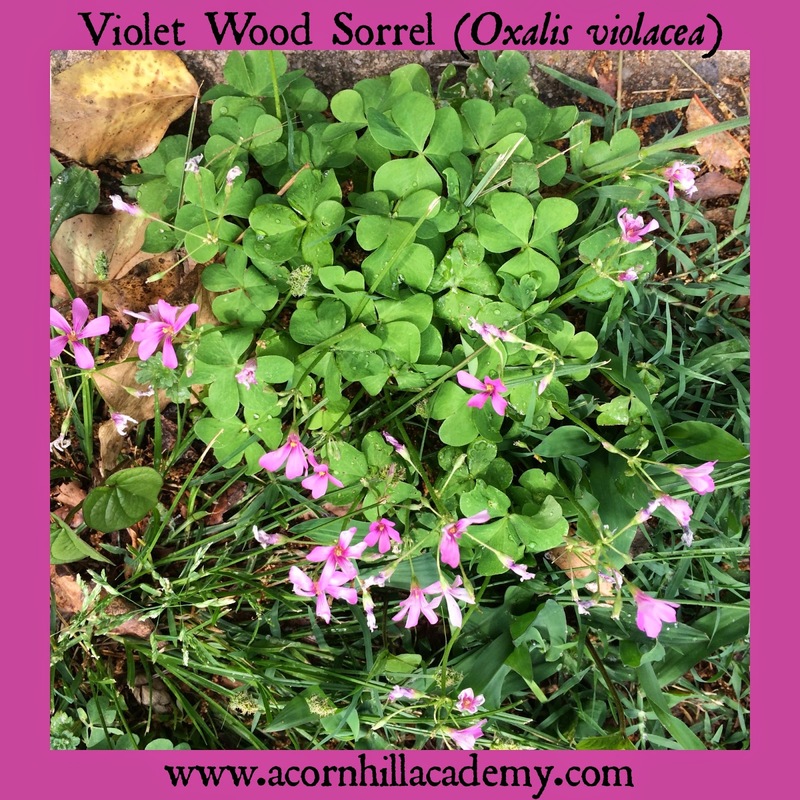 Do you know about wood sorrel? I remember my mom showing me little plants with shamrock leaves and yellow flours, and having us taste it. It's tangy and a bit sour, and I still like to munch on a leaf when I find it. I learned from a local friend that people around here call it "sourgrass." I had never heard that term before. I seem to remember my mom calling it wood sorrel, but that's an entirely different plant, so perhaps I'm remembering incorrectly. What I did not know is that it comes in different colors! I've purchased green shamrocks and purple shamrocks around St. Patrick's Day, but as I was driving through our small town one afternoon, I saw these tiny pink flowers and had to stop and see what they were. Aren't they lovely? I picked some for my herbarium, which I will share with you soon. We've been studying wildflowers in our nature club, so I've been keeping my eyes open for things that are blooming this spring. It's been a lot of fun. What's blooming in your area these days? Anything fun?